Mont Kiara, is an affluent township northwest of the city centre of Kuala Lumpur, Malaysia. 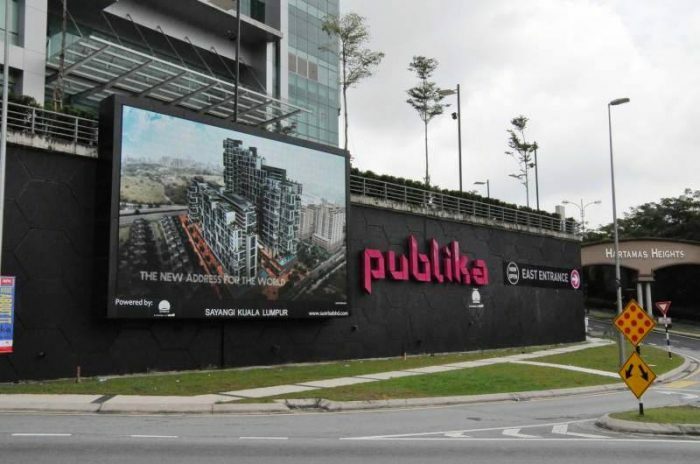 The township consists mainly of residential condominiums and office complexes. It is located at the heart of Klang Valley, adjacent to Sri Hartamas. 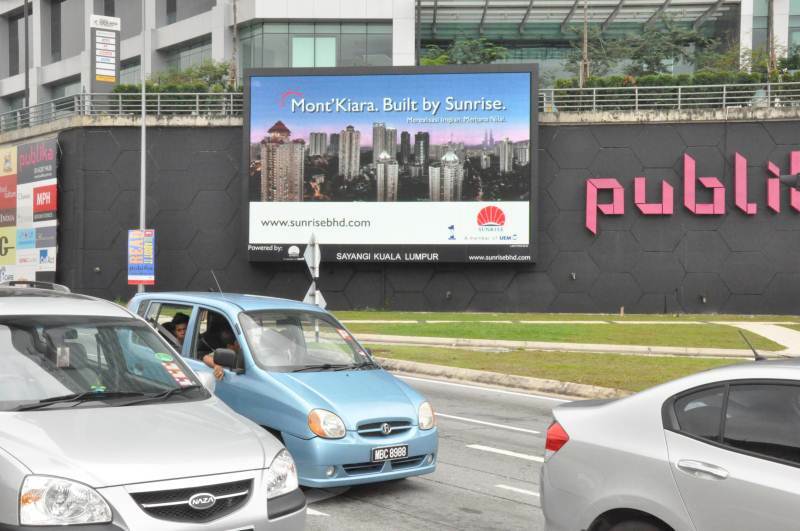 Mont Kiara commercial projects include 1 Mont Kiara, Plaza Mont Kiara, Seni Mont Kiara, Solaris Mont Kiara and Solaris Dutamas. 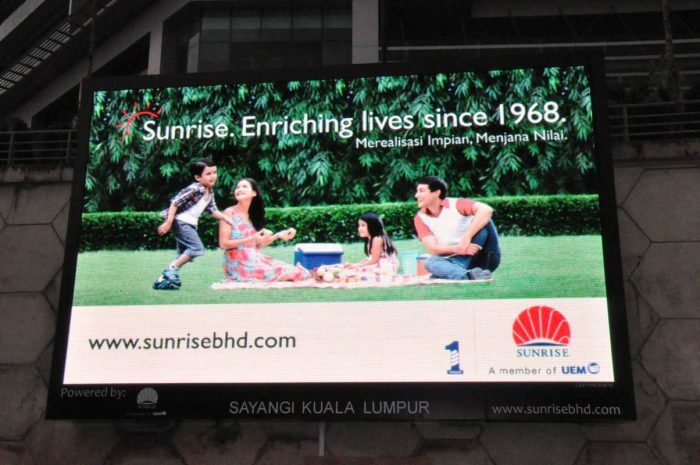 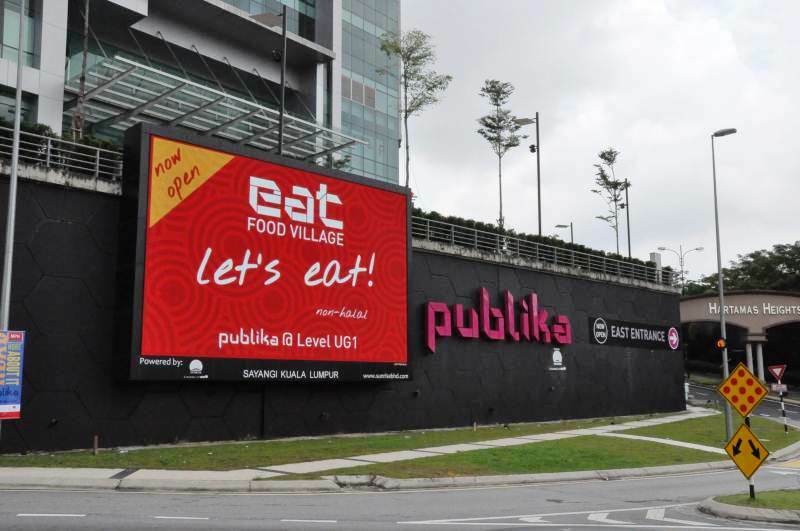 LEDtronics was chosen as the official LED digital display partner for Sunrise Berhad’s Solaris Dutamas (Publika) RM1 billion commercial project, that houses 400 retail outlets, 1000 office suites and 800 designer suites. 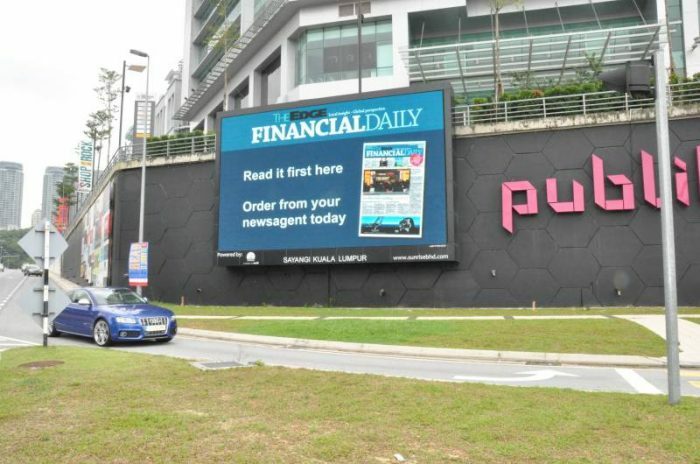 The spectacular LED digital billboard at Solaris Dutamas is measuring 6.1 m (H) x 10.2 m (W), and the installation was successfully completed in December 2010.